Many brand managers believe they’ve got the toughest job in the world. That’s right. Brand management doesn’t require a six-pack, nevertheless; six brains would be quite helpful, seeing that the job is hard to beat in terms of complexity. The reason for its complexity is – who would have thought it – digitization. This whirlpool of technological advancements and trends is moving towards brand managers at an unprecedented pace. Companies reviewing their current digitization strategies are often faced with new challenges. The ideas about change can be extensive and multi-faceted, from small strategy tuning to a complete reorientation. What about the brand? It’s in the middle of a turbulent change, trying to consistently represent the values of the company and its products. Not only is the digital environment constantly present, it continuously changes as well; exposing brands to highly dynamic forces and influences. At the same time, the competition grows bigger and more blurred. Ensuring the vitality of the brand requires energy and stamina – but above all: new processes and flexible tools. Say goodbye to old methods, and adjust to our new digital world. It might save your life. Or at least a lot of time. Adios, paper mountains. Hola, platform. They still exist, the good old companies and departments producing tons of paper mountains, printing brand style guides, always fruitlessly hoping they’ll be used while still up to date. Many corporations distribute up to 50 guidelines, requiring up to 800 changes per month. Clearly, the brand needs to be defined, and every designer and programmer needs to know what color value the logo has, what the latest campaign looks like, and how the brand will appear on which touchpoint. But by the time the style guide has been approved by all those responsible, it must be updated again, since it’s already obsolete. Does this ever end? No. Anyone who believes it’s a good idea to email style guide PDFs, following up shortly thereafter to send update number one to thirteen, will create total chaos – maximizing the inefficiency. So, flatten the paper mountains and PDFs. Now, make room for an online platform, which carries only one set of rules the latest. The bigger the company, the more brands live under one roof. Today, the number of people involved in the management and maintenance of brands is many times higher than before: from marketing and brand managers to external service providers, agencies, and freelance employees. Add the countless possible channels where the brand can appear, and total chaos is on its way. Right at this point, brands threaten to slip away. Consistency is now in demand across all channels. To a large extent, it is consistent brand communication which influences the success of a brand. Special mention should be made of product innovations. These require consistency right from the start because this is the only way to give customers a feeling of security, generate trust, and lay the foundations for a successful brand. Adieu, one time use. Bonjour, reusability. Digitization is changing even the strongest brands. An appearance that still works today, can vanish tomorrow into oblivion. "Where's my brand?" asks the brand manager, noting that in order to establish a more dynamic brand image in this multi-media-multi-crazy-multi-everything world of ours, there is not one right way, but many. Whether it's an unknown dirt track, or a well-proven highway – on every route, it's important to protect the core of the brand, whilst adapting the content to the context, and the needs of the respective target audience. 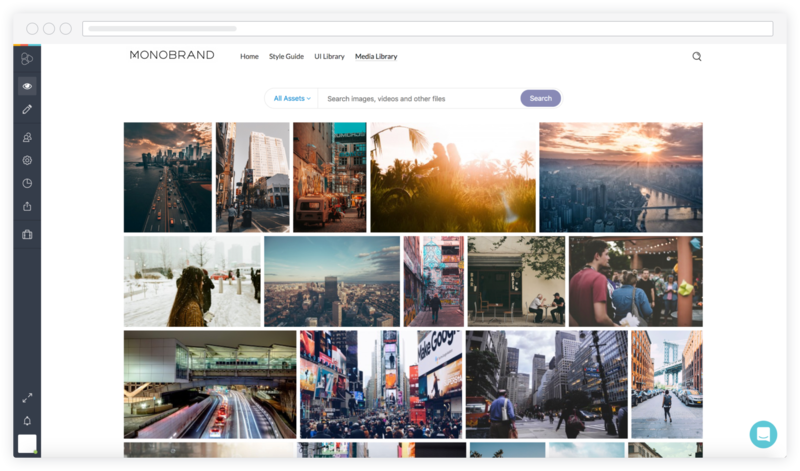 For example, on YouTube, a cool influencer can casually promote its brand, run classic TV advertising on TV, while the site provides in-depth, relevant content. Using this reusable system smartly is anything but trivial, and yet fundamental to the success of the brand. Shared joy is double the joy, shared knowledge is triple the speed and quadruples the quality, according to an almost representative survey. A highly networked team can respond faster to trends and adapt to technological developments. In an ideal world, the brand leader provides the employees with a central platform that enables them to work together on the brand in a common and yet independent way. 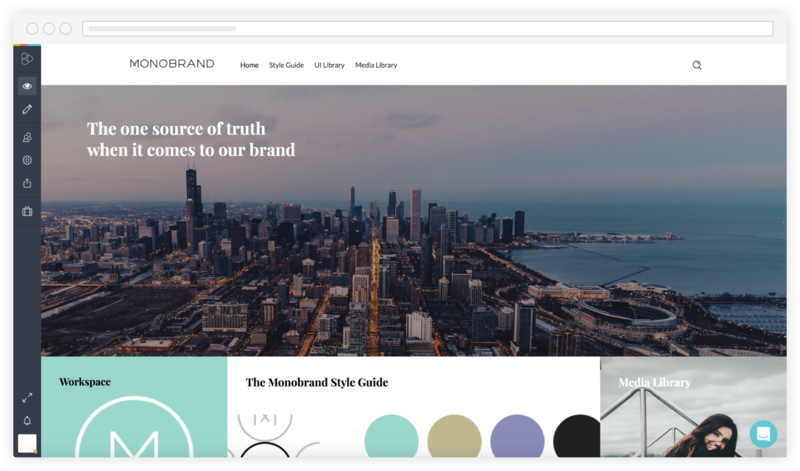 Everything important from the latest brand logo, to the newsletter concept, and the smallest button code, is centrally located and accessible in the cloud. The team members can exchange real-time discussion and gain approval feedback via the platform. This may sound a bit anti-authoritarian – but it’s extremely efficient when the workflow follows fixed rules and the approval processes are automated. 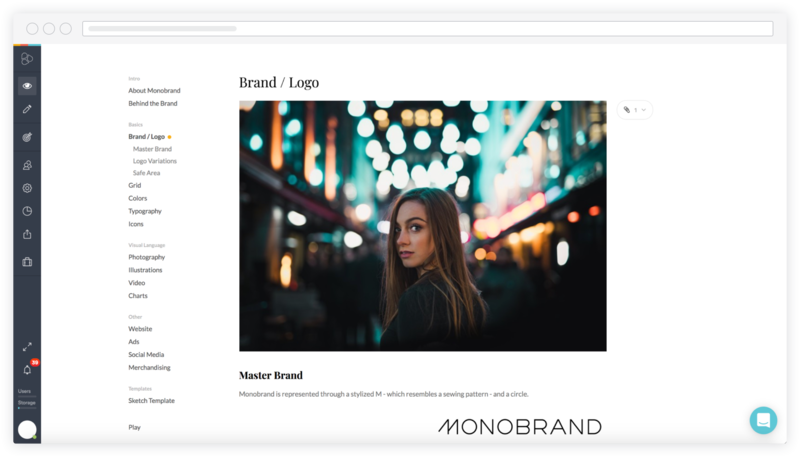 The platform connects people, branded ingredients and style guides, enabling brand consistency and maximizing efficiency. At the same time, this type of cooperation also increases the happiness of employees, because working together and being self-sufficient is more fun. And that, in turn, is good for the brand because it is also represented by the people who shape it. Прощай, status quo. Привет, life. A brand has to be alive. Outwardly, it seems to be a stable object – consisting of a logo, colors, slogans, target groups etc. – but it has never been more dynamic than it is today. Especially in the digital age, brands are constantly exposed to new influences, appearing in unfamiliar environments and interacting freely with stakeholders. They are always present, always tangible, even approachable, but also vulnerable. Anyone who is a brand manager today should be as relaxed and flexible as a yogi. To remain in the status quo, and follow established rules for years is not the best strategy, but at worst could be the death of the brand. Clearly, the core must be cherished and cultivated, but the characteristics and activities should remain in motion. 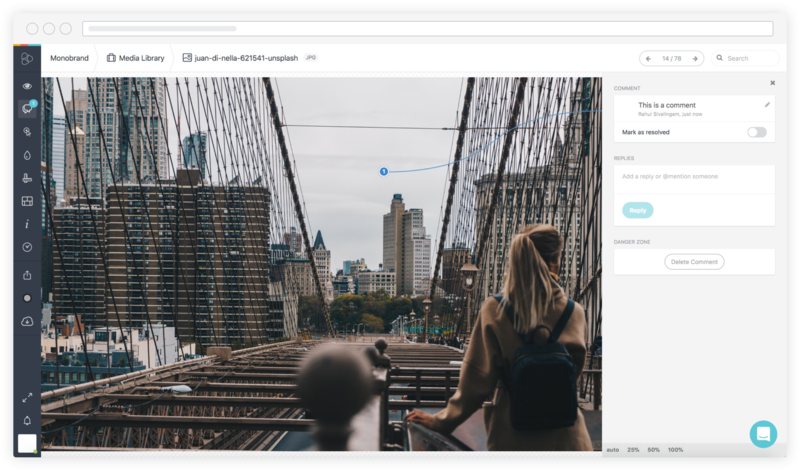 For all this, Frontify has developed a complete toolkit that enables accurate, comfortable and up-to-date online brand management via a cloud-based platform. If you’re looking to professionally manage and develop your brand, start the 14-days free trial today.